Police are appealing for information following an incident at Glenabbey Drive on Friday, April 14. At 9pm, as a teenage girl was sitting outside her house, a group of three or four males approached her and, using an aerosol can and lighter, they created a flame and singed the girl’s hair. The girl was not injured as a result of this incident, however she was left very badly shaken. 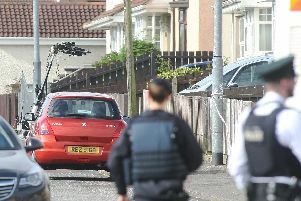 The PSNI have now appealed to anyone who was in the area at the time and may have witnessed this incident to contact them at Strand Road on the non-emergency number 101. Alternatively, if someone would prefer to provide information without giving their details they can contact the independent charity Crimestoppers and speak to them anonymously on 0800 555 111.